Pediatric Therapy, Inc. was established in 1991 to provide comprehensive rehabilitation in the areas of physical therapy, occupational therapy, feeding therapy, and speech-language pathology for children. Pediatric Therapy, Inc. is currently the only outpatient rehabilitation clinic in Lubbock and the South Plains that is exclusively for children. 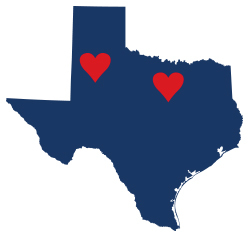 We also have a home health division based out of Denton Texas. 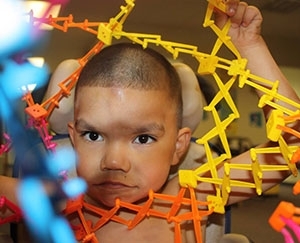 Pediatric Therapy, Inc. uses a medical-scientific model for rehabilitation intervention. We are committed to using the latest scientific and evidence based research to guide the treatment program for your child. 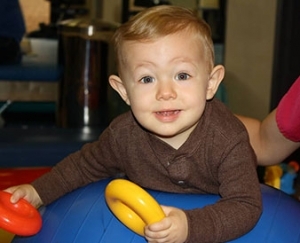 PTI currently serves infants and children with a variety of neurological and orthopedic injuries and conditions, as well as genetic and developmental delays and disorders. PTI’s treatment philosophy stresses early detection and intensive early intervention for high risk infants and young children. 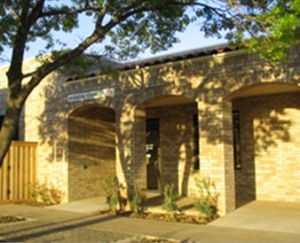 PTI uses a comprehensive multi-discipline team approach to meet the unique needs of children. Members of the team include: parents, children, physicians, social services, and therapists. Pediatric Therapy Inc. currently employs a staff of over a dozen licensed therapists. All of our therapists specialize in pediatrics and receive regular advanced training in the most innovative treatment techniques through professional seminars and education programs. Our therapy teams boast decades of combined professional experience that benefit our clients. We began treating at our current location in the spring of 2004. 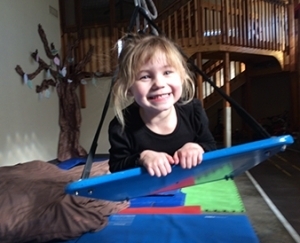 Our team greatly enjoys treating at our state of the art facility which includes: complete sensory motor gym, rock climbing wall, foam pit, vestibular swings, in-ground trampoline, mobility “castle”, outdoor courtyard and play yard, mobility “road”, complete kitchen, and parent observation room. Wondering What to Expect? See the Four Simple Steps Below. After receiving a prescription from your child’s primary care physician, PTI’s office staff will assess insurance coverage and schedule an evaluation appointment for you. You will be sent background information to complete and return on the date of your visit. Because Pediatric Therapy recognizes the importance of the parent and caregiver, you will be included in the evaluation process. Your therapist will ask you questions to better understand your child and the concerns that brought you to our clinic. Our therapists use current, objective, and state-of-the-art assessment instruments to gather information regarding your child’s strengths and weaknesses. When your evaluation(s) has been completed, a team meeting or “staffing” will be held with you and your therapists to discuss findings and recommendations as well as create an individualized plan of care for your child. Our front desk operations team will work hard to create a schedule designed for optimum success based on therapist and family recommendations. Pediatric Therapy has a specially designed parent observation room where we welcome you to watch sessions and become familiar with your child’s therapy. When parents observe, we believe this allows for greater carryover in the home. Every 60-90 days, you and your child’s physician will receive a Therapy Summary that informs you of your child’s progress during that time. Goals will be addressed and frequency or intensity of treatment may be modified as necessary. Parents may request a team meeting at any time during your course of treatment to discuss your child’s plan or progress. It is an exciting time when your child has met all of their established goals, and our staff prides themselves in discharging children that have met their fullest potential and are ready to take on the world.